CNY is over, but it's never to late to publish a good thing. 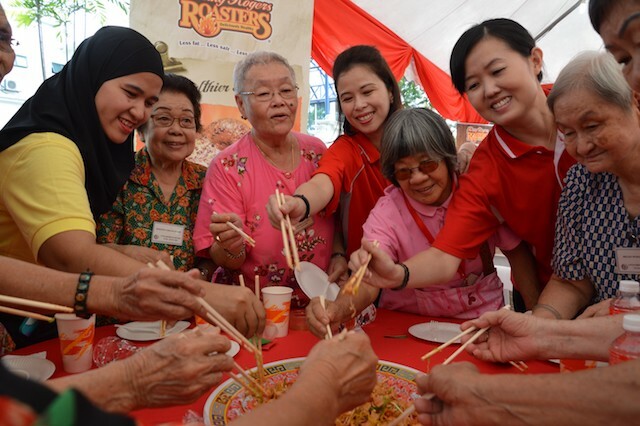 In an effort to enhance their community initiatives, some 35 residents of Ann’s Care Centre and 20 residents from Little Sisters of the Poor were greeted by Kenny Rogers ROASTERS (KRR) in a heart-warming Chinese New Year celebration with Food Aid Foundation today to spread the joy of the festive season! The elderly folks were entertained throughout the event with a slew of fun activities by the KRR team members! The event started off with the classic Chicken Dance performance by KRR, followed by a lively karaoke sing-along session where everyone chanted and hummed from classic to popular favourites during the session. The senior citizens were then serenaded with a familiar folk song, the Rasa Sayang and a dance performance to liven up the atmosphere. “Chinese New Year has always been about togetherness and we are thrilled to bring smiles and joy to the residents of Ann’s Care Centre and Little Sisters of the Poor with Food Aid Foundation today! 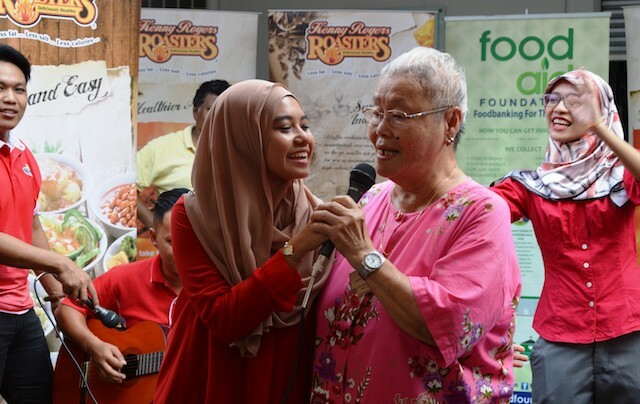 We are also firm believers in the importance to make wholesome and nutritious food accessible to everyone regardless of age,” said Ms. Ling Shiau Yunn, Guest Engagement Manager of Berjaya Roasters (M) Sdn Bhd. KRR also prepared a special Yee Sang tossing session during the event as part of the Malaysian tradition during Chinese New Year. To further add to the merriment, the elderly folks were given red packets and KRR goodie bags consisting of nutritional food. “We can clearly see how the collaboration between Food Aid Foundation and KRR has seen a fruitful outcome. The years of collaborating together have been a heart-warming journey to provide people with well-balanced meals,” said Mr. Rick Chee, founder of Food Aid Foundation. To culminate the event, the elderly folks and caretakers were treated with 55 sets of KRR’s latest meal promotion, the Golden Teriyaki Chicken Meal and bottled water. For more information on Kenny Rogers ROASTERS, contact 03 - 2119 9888 or visit www.krr.com.my.